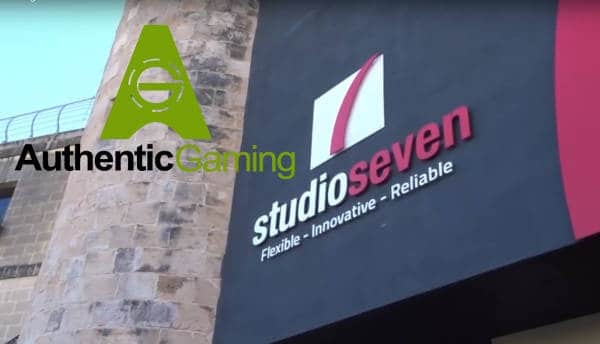 Continuing with my quest to visit every live casino studio, I’m happy to report that I’ve been able to add Authentic Gaming Arena Studio to my list. I was lucky enough to get a behind the scenes look of this relatively new live casino studio in late November 2018. 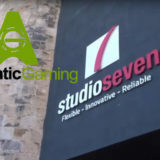 The studio itself is located over two floors in a shared building called Studio 7, which is also used as a production facility for many other companies. The studio is a new initiative for Authentic Gaming and opened in July 2018. 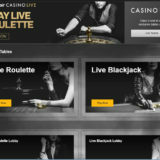 It houses the complete range of Auto Roulette wheels and a new dealer led Live Roulette solution, called Blaze Roulette. I was certainly excited to see behind the scenes and learn a bit more about what’s coming up. Entry to the building and offices is under security control. Guests are required to sign in, only when you have your ID badge are you allowed access past reception. My guide was Authentic Gaming’s Live Dealer specialist, Janice Azzopardia. Janice has a long history in the live casino sector and has been responsible for training 1000’s of live dealers. I was definitely going to be in good hands. Access to the Authentic floors is by lift. Once there the offices are in a self contained unit that you can move around freely. The studio is on the lower of the two floors and accessed up a long ramp. I’ve visited a few live casino studios and this one, above all others, resembles a TV studio the most. There is one large room, with the presenter led Blaze Roulette table in one corner. Dotted around the floor is the selection of Auto Roulette wheels. The first thing you notice is how dark the room is. All the backdrops are black, which makes the Blaze roulette table colours really pop out. The second thing you notice is the noise. While studios are meant to be quite places during filming this is different. Piped music is playing as well as the unmistakable sound of the Auto Roulette compressed air blasting every 30 seconds. I take my hat off to the dealers through. They have a very difficult job and I imagine have to be really focused on what they are doing. They operate in complete isolation, standing alone in the studio just talking to the camera. It must take real skill to run a game and present it the way they do. All of the training is provided by Janice. 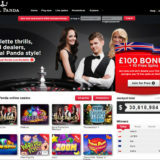 The studio operates 24×7, Blaze roulette is open between 10:00 – 02:00 CET. Outside of those hours the studio is empty. Monitoring of the games is performed remotely, so onsite there is only a skeleton set of staff to keep things ticking over. The server room is small. Equipment is protected by UPS, while the whole building has a generator backup power supply. It’s not quite as sophisticated as others I’ve seen, but it does the same job. While this is the smallest Live Casino studio I’ve seen, all the component parts are in place. 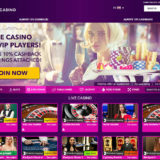 Authentic Studio delivers a good online live roulette experience. I’ve followed Authentic Gaming from the very beginning and have really been interested in their products and development. The studio is a good addition to their land based streamed roulette solutions. I’m hopeful they will build this out with more unique games and playing options.